1205 Broadway [Commercial Observer]: Developer Lam Group is planning for the construction of a 38-story, 440,000 square-foot Virgin Hotel at 1205 Broadway in NoMad. The hotel is planned to have 489 rooms, and 100,000 square feet of retail. The sites were acquired from Ace Hotel for $88 million a few years ago. 626 Driggs Avenue [The Real Deal]: CB Developers, Waterbridge Capital and Ironstate Development plan to construct a five-story, 254-room pod hotel at 626 Driggs Avenue in Williamsburg. Designed by Garrison Architects, the building will have a modular design, and will house multiple retail tenants at the street-level. 400 West 113th Street [New York Times]: The Brodsky Organization is developing the 11-plus-acre lot that runs along 113th Street north of the Church of St. John the Divine in Morningside Heights. Current plans are to build “428 rental apartments split into two 15-story towers” that would span the entire street. Excavation is already underway, and Handel Architects is designing. 27 East 4th Street [EV Grieve Blog]: Gary Spindler is replacing the one-story shack-like structure at 27 East 4th Street in NoHo with an eight-story hotel spanning a total of 17,141 square-feet. Building permits have been approved, and demolition is likely imminent. 35 4th Avenue [Brownstoner]: A new development opportunity exists at 35 4th Avenue — a two-story office building — in the far-north end of Park Slope. 35 Holdings LLC has bought the building for $25 million, and up to 108,000 square-feet of development rights exist. Plans have not been disclosed. 42-77 Hunter Street [The Court Square Blog]: The ten-story, 14-unit building at 42-77 Hunter Street has topped out, and scaffolding is now coming down. The building will total about 12,500 square-feet, and the concrete blank walls facing the neighbors are a reminder that adjacent development is likely. Completion is scheduled for this August. 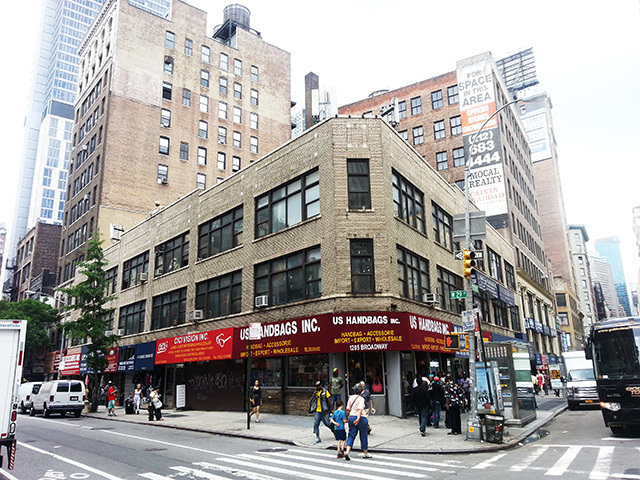 144 Spring Street [Curbed]: Investor Ralph Bartel has plans to construct a four-story glass retail building at 144 Spring Street, in SoHo. The all-glass 2,800 square-foot retail structure is being designed by architect Frank Grauman, and the project is currently in the LPC review process.